Dive into some mahjongg fun! 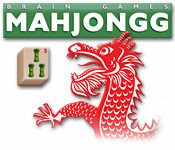 Brain Games: Mahjongg is rated 4.0 out of 5 by 11. 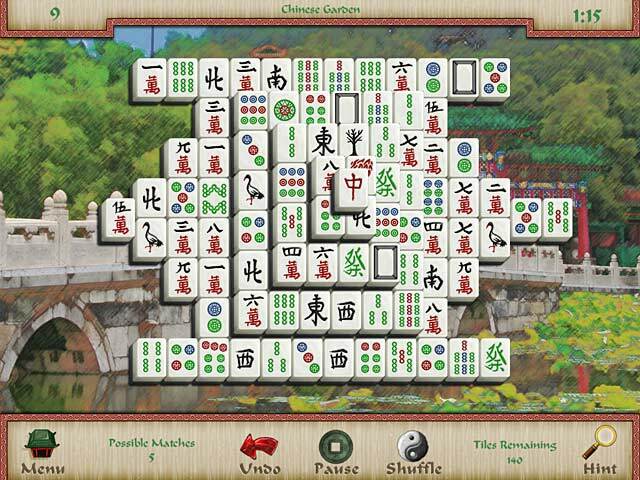 Rated 5 out of 5 by pepk from additive This is my favorite Mahjongg game and I find myself stopping what I am doing to play it more. 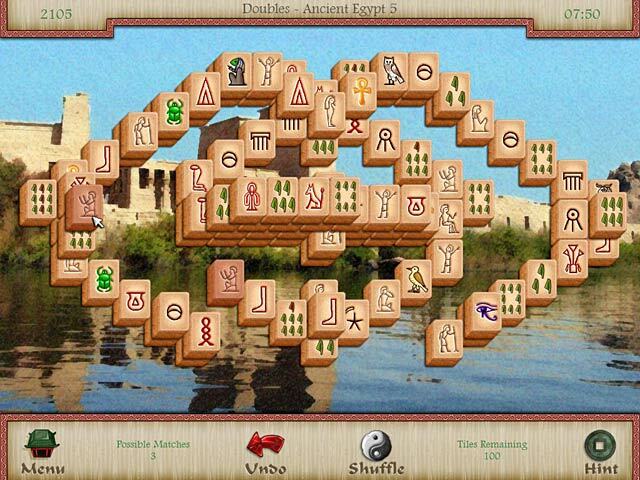 Rated 5 out of 5 by Pats3 from Fun, Challenging Mahjongg Game This Mahjongg game is the most fun Mahjongg game I have played in a while. It's right up there with the Luxor Game from a few years ago, with more challenges and tile sets than I have found in others. If you love Mahjongg you will love this version. You have to work your way through it - can't continue until you have conquered the "special" games. It's Mahjongg at it's best. Rated 5 out of 5 by HoosierKitty from Love all the different ways of playing I love this game. It is super when you just want to play for a limited time. Like, I will sit and play while I am eating. Or if I only have a limited time to play. You can pick a different game each time and the level you want. And the tiles you use. And I love all of the different backrounds. Or you can play the quest, . it can be very challenging, or just a quick game. I just love all the variety and different levels. Love it! I have given this game to three family members and friends I highly recommend it for anyone who likes a challenge or just wants to play Mah Jong. Rated 5 out of 5 by Gojira2006 from Hours & Hours of Fun . . . ! Wow . . . ! 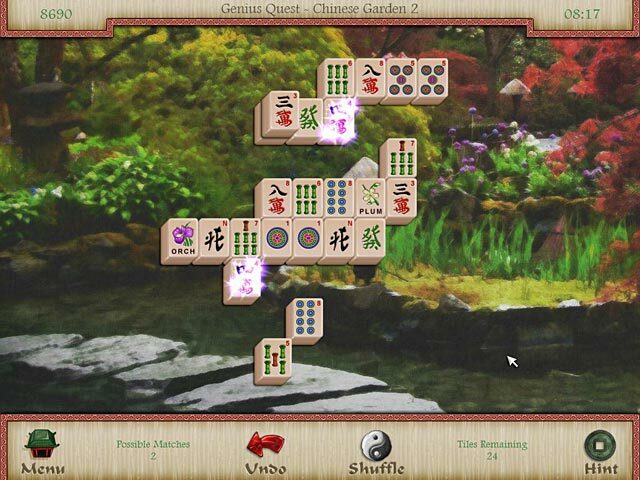 With its cool, hypnotic music, there are lots of awesome versions of the game here - including Solitaire, Nanjing, Waterfalls, Golden Dragon, Collapse, Memory, Four Rivers, & the mind-bending Genius Quest . . . You don't have to be a genius to enjoy all the variations in this game, though . . . ! Rated 4 out of 5 by thimbles from Misleading title I expected something more than just a Mahjong game. But that is exactly what this is: Just a Mahjong game. It is a good Mahjong game. You can shuffle, pick your background, pick the tiles. The only "brain game" is whatever brain exercise there is in playing the game. I would still recommend this as a good game. In spite of the title it is Mahjong. Rated 4 out of 5 by puzzlemepink from lockouts I tried it and liked it but there were so many levels that are locked...? Haven't figured out why yet, or how to unlock them. Rated 3 out of 5 by Thunderhorse1 from Nice Game For Good Eyesight. I went through most of the options on the demo but didn't buy the game because my eyesight just isn't up to reading the tiny numbers on the tiles. It looked like a good game with lots of different games to choose from, so I was disappointed. I've bought several other MJ games and all of them are much easier on the eyes than this one. Rated 3 out of 5 by blomstix from Downloading Splendid brain game, could not wait to download after purchasing the game. Rated 3 out of 5 by Michelle260 from Floating cursor! This game has a ton of options, tiles, background and levels. The cursor kinds floats around and the music is kinda irritating. I grew up and past Mahjhong but at the time it was part of my Mahjhong collection. Well worth the cash, can be completely different everytime, everyday.